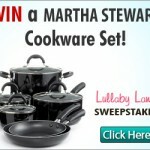 SWEEPS: Win FREE VitaminWater or a trip to Las Vegas! You are here: Home / sweepstakes / SWEEPS: Win FREE VitaminWater or a trip to Las Vegas! If you like VitaminWater, make sure you’re entered to win FREE VitaminWater! You could also win a trip to Las Vegas for two! One in six who enter will receive a prize such as VitaminWater merchandise, gift cards, or free VitaminWater for a year! No purchase is necessary to win. You can obtain a code to enter via e-mail. 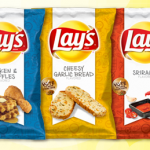 This promotion runs through 2/19/2013. 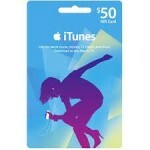 SWEEPS: Win a $50 iTunes gift card! 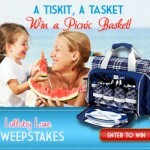 SWEEPS: Win a European Quartet Picnic Cooler! 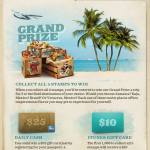 Boar’s Head: Enter to win an exotic vacation and iTunes and American Express gift cards!